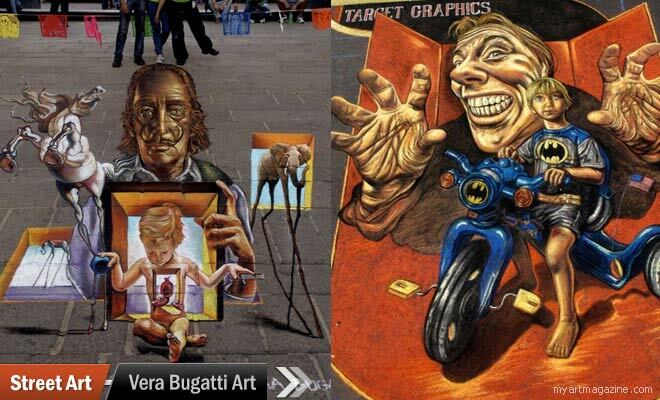 Street Art by Vera Bugatti Art: Vera Bugatti is an Italian street art painter. 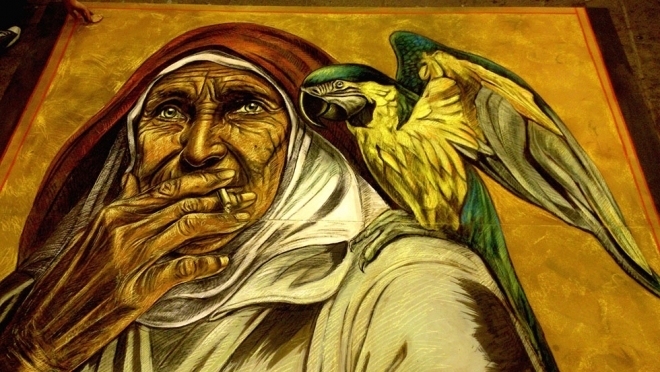 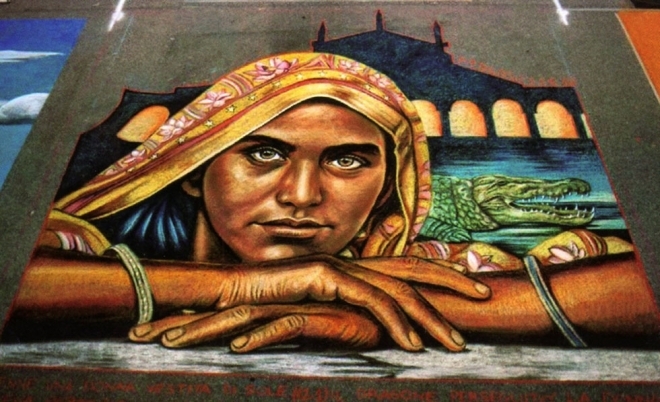 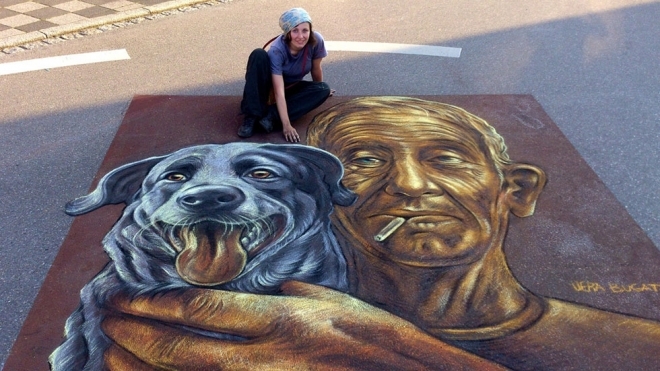 According to her biography,"Vera Bugatti considers street-painting as a part of her artistic path she tried to find every time new subjects and more different suggestions to have a dialogue with, working with several techniques, ranging from chalk and paints to wire, electric elements and nails". 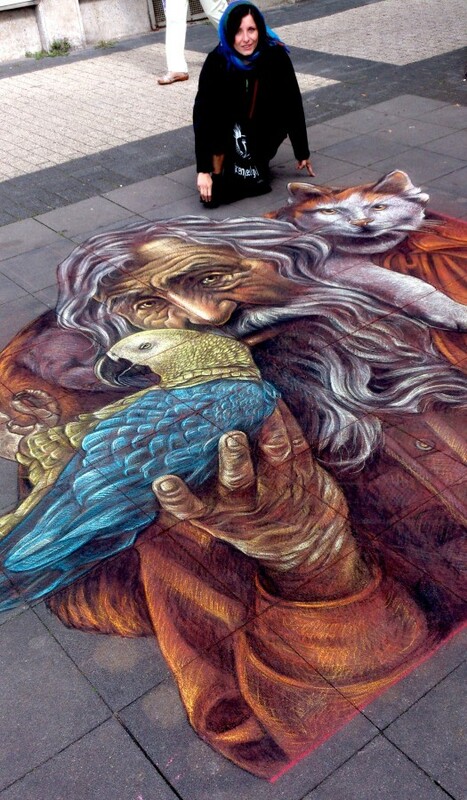 In real life she is a librarian apart from creating award winning street art. 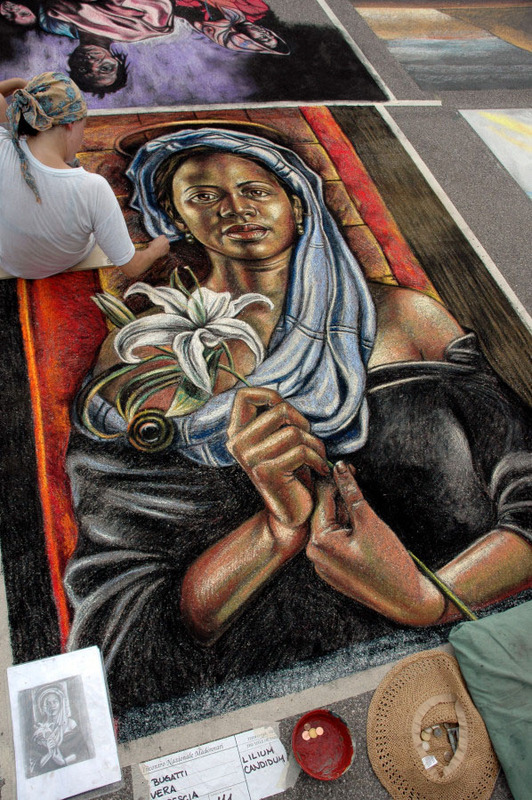 Vera Bugatti art has won several awards in Italy, The Netherlands, France, Germany, Ireland, Croatia, Austria, Malta, Sweden, Denmark, USA and Mexico. 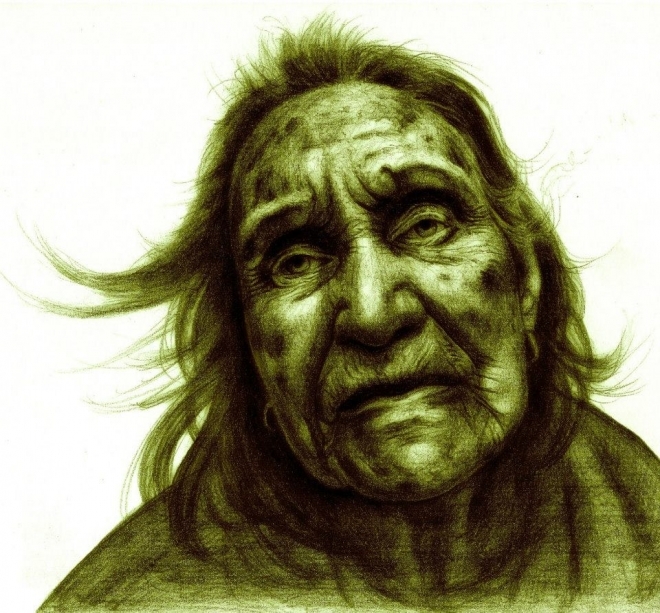 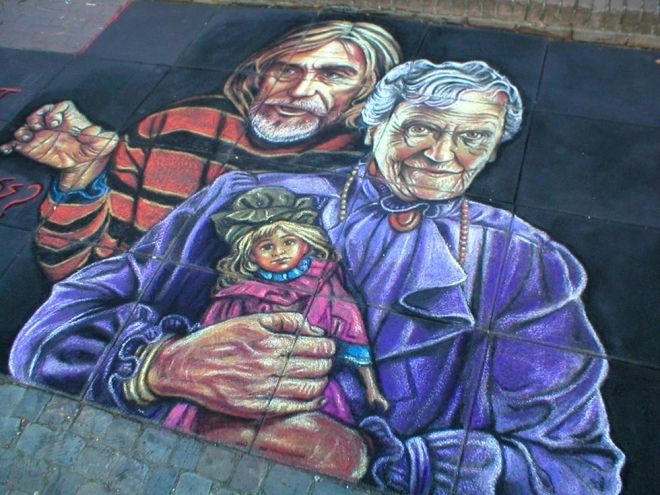 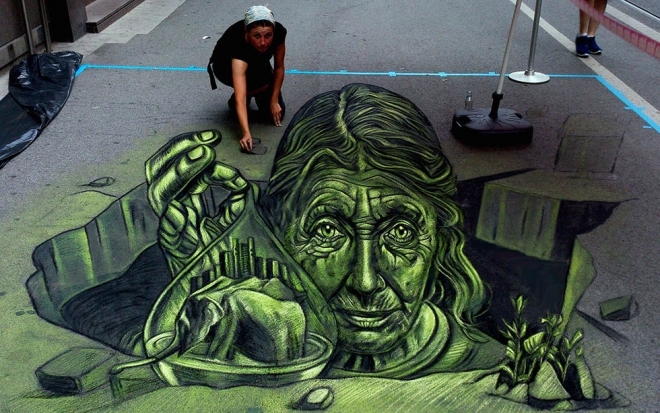 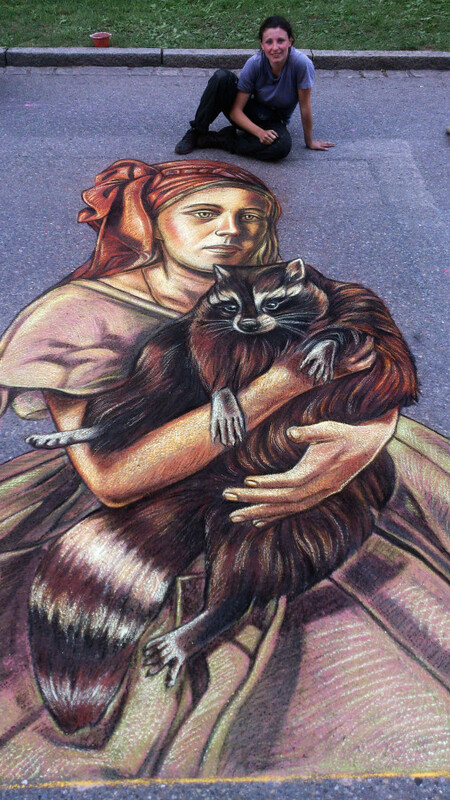 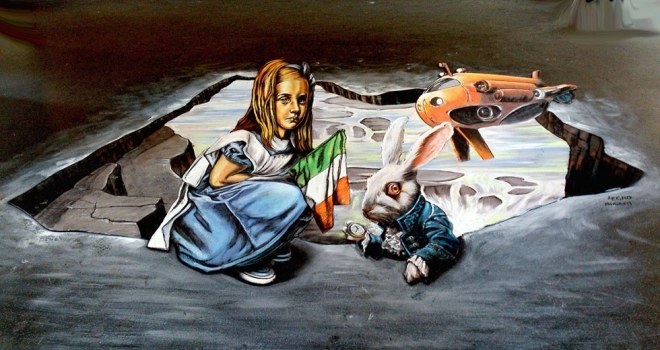 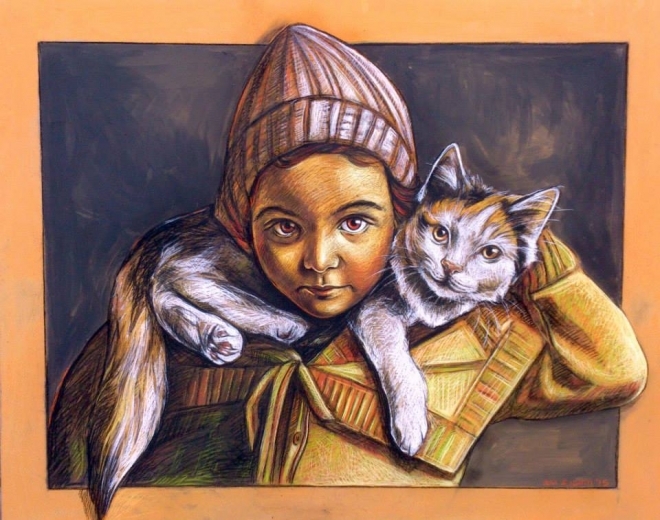 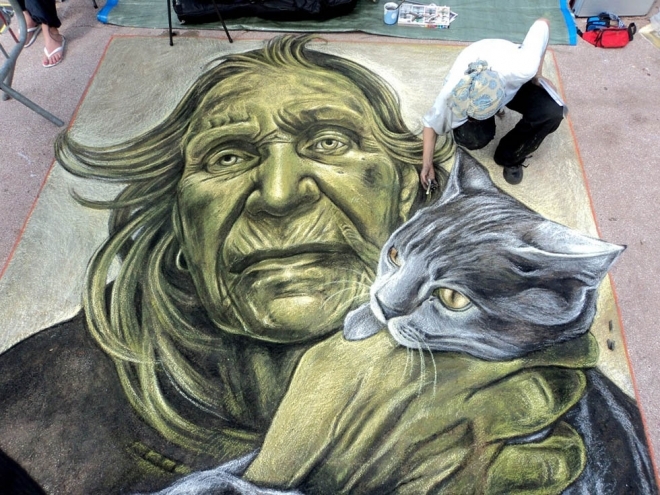 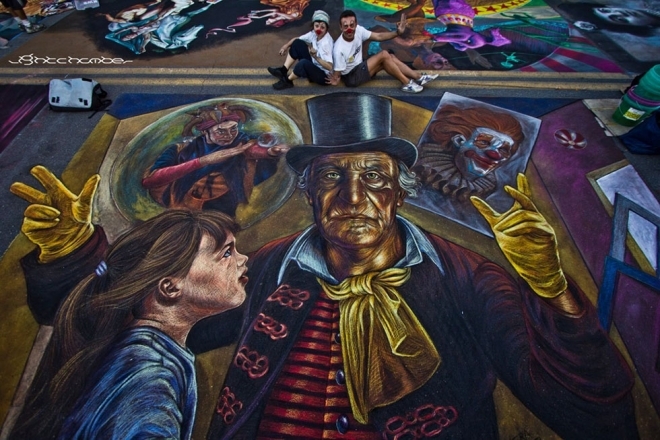 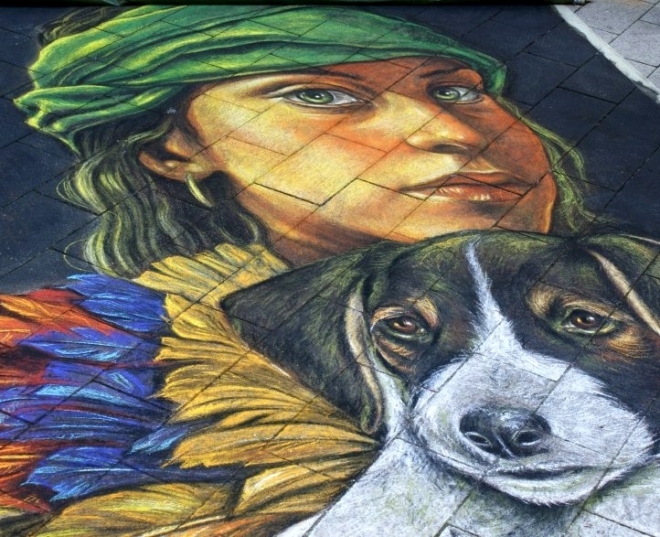 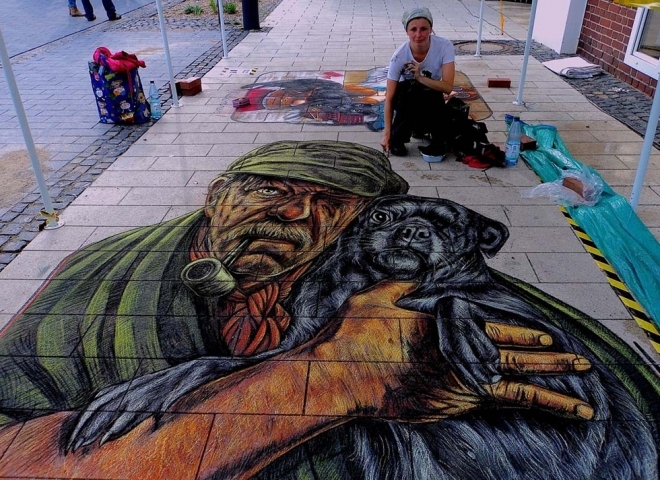 Her chalk work is also featured in the books ‘Sidewalk Canvas’ by Julie Kirk Purcell – London 2011 and ‘Street Art’ by Russ Thorne’ – London 2014. 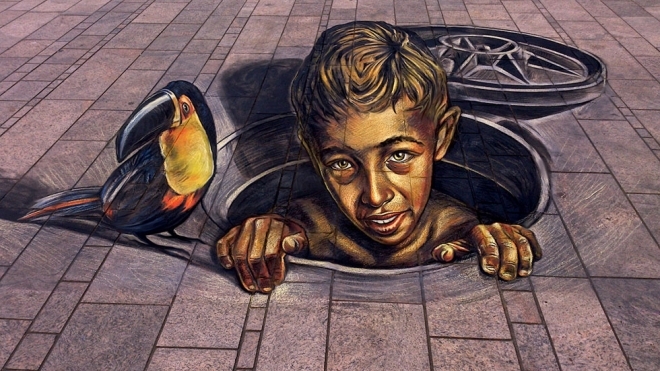 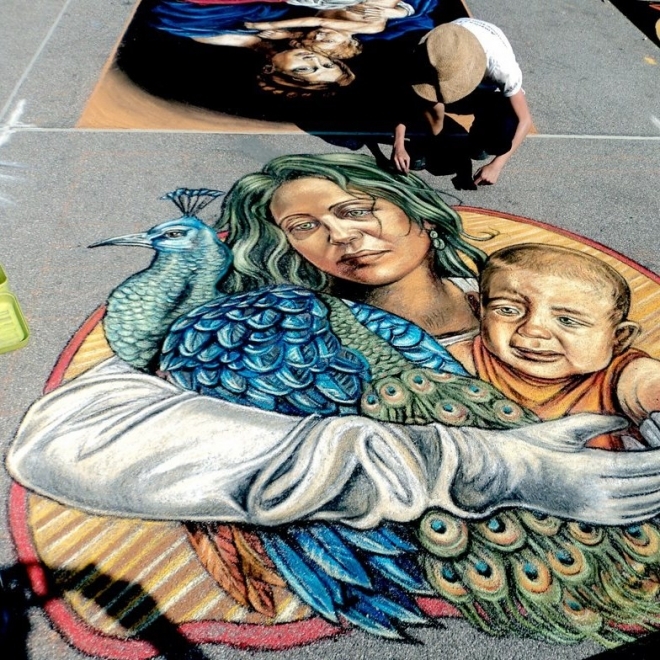 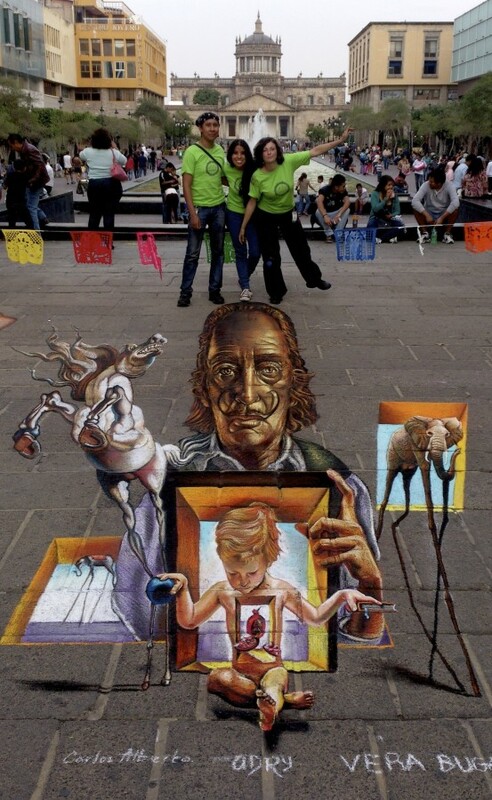 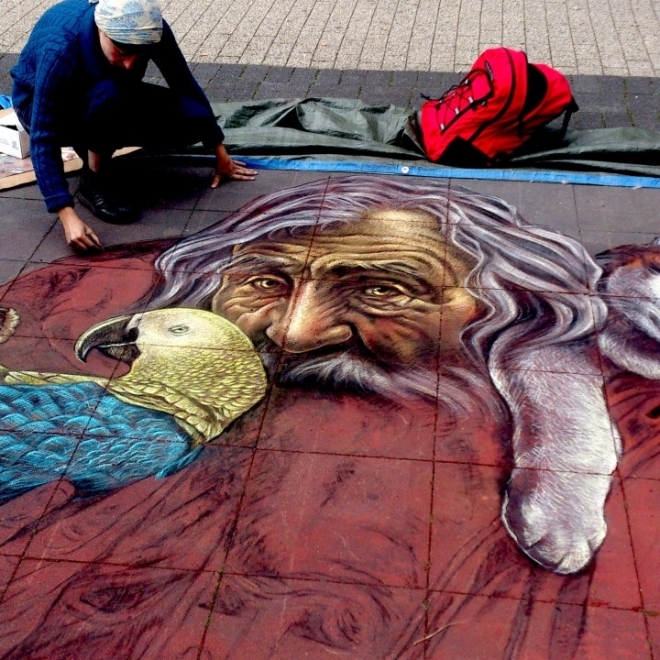 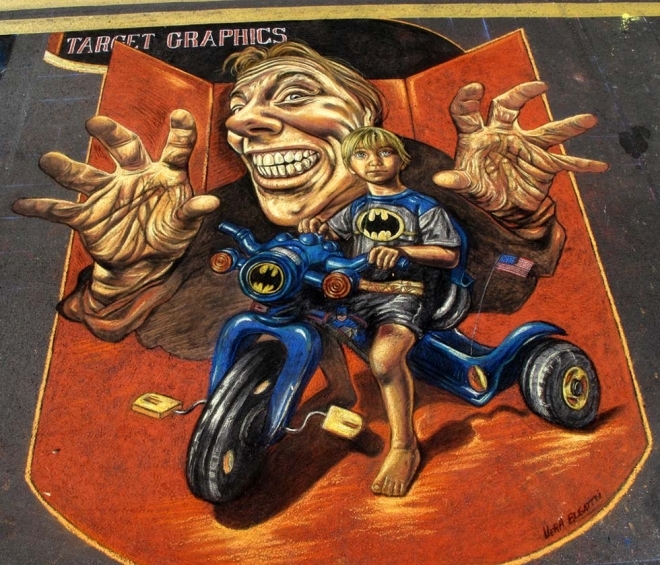 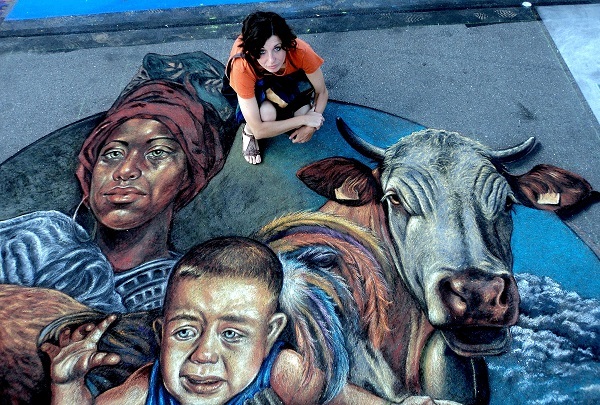 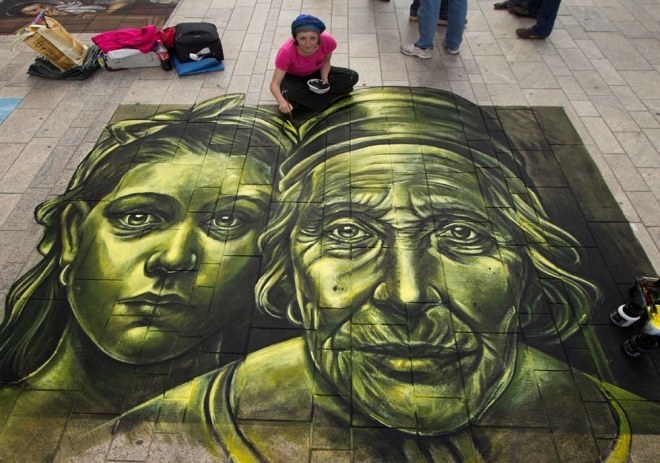 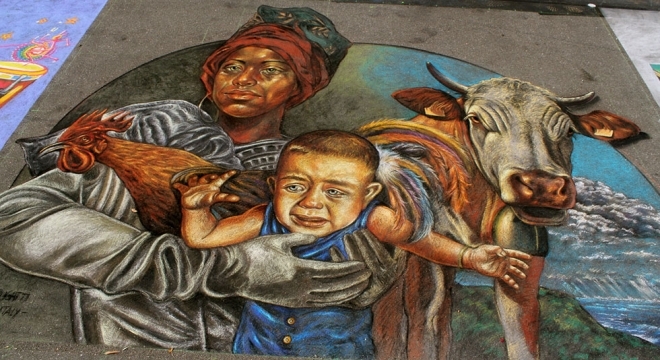 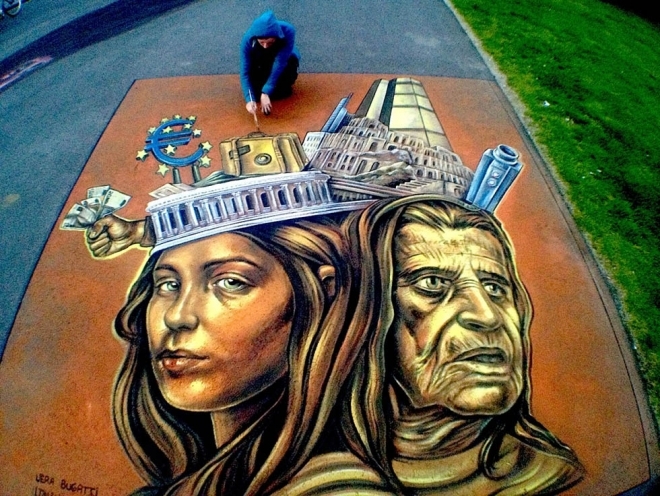 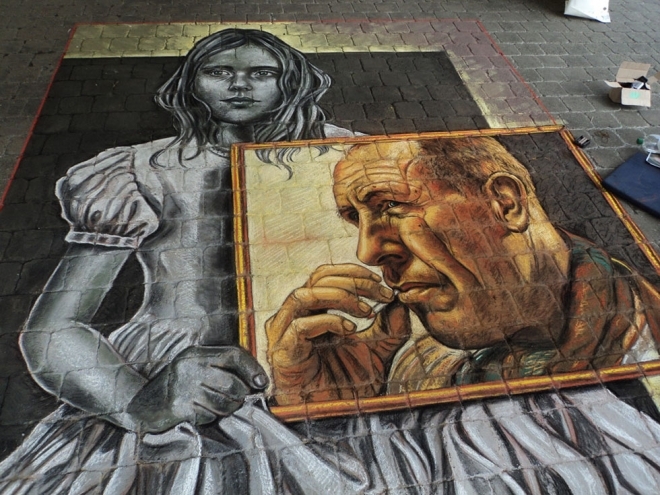 Vera was one of the 13 international artists chosen to collaborate with master Kurt Wenner at Sarasota Chalk Festival (USA 2012) to create a large 3D masterpiece.In this post we have added 25 Street Art by Vera Bugatti Art for your inspiration.